Define ”Rejuvenate” – to make young again; restore to youthful vigour, appearance, to restore to a former state; make fresh or new again. That’s exactly how I feel after my recent holiday. I feel so rested, relaxed and at peace with everything. I can’t remember the last time I had such delicious meals or slept so soundly, a slumber so deep that not even my 6-year sitting on top of me could disturb. I can’t remember the last time I woke up with such freshness and zeal and more important with a profound sense of serenity. So where do you think I had gone for this perfect holiday? No it wasn’t the Swiss Alps, neither was it a religious holiday to Rishikesh nor a rip-roaring holiday to the French Riviera. It was just a simple, one-night trip to one of my most favourite holiday spots. 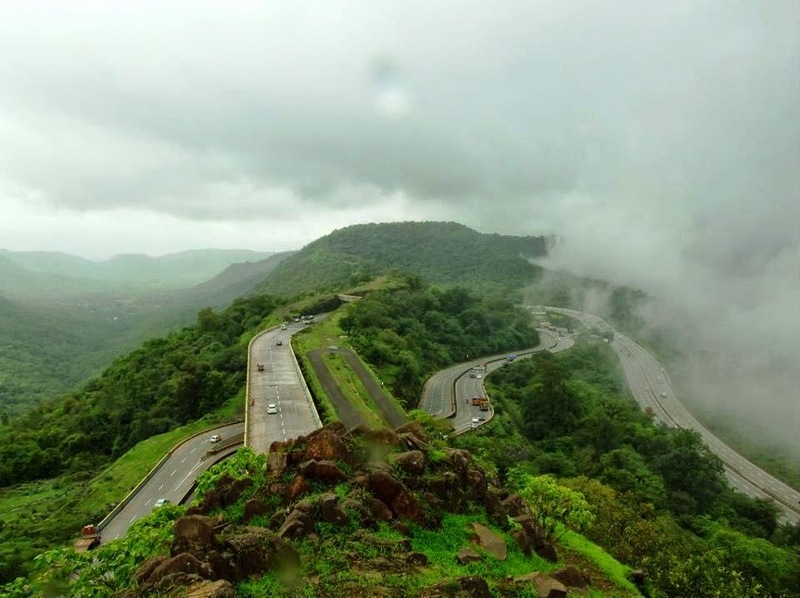 Lonavla – a hill station nestled in the lush, green Sahyadri ranges in Maharashtra, just a 2 hour drive from Mumbai. It was a quick, affordable and a last-minute holiday and one that made me ponder and put together the essential ingredients of a perfect holiday. 1. The journey – They say that sometimes the journey becomes more important than the destination. It is so true as I have had some wonderful holidays borne out of truly fascinating journeys. Whether it is a a lively conversation with your journey partner, or a few thoughtful silent hours gazing at the passing landscape, enjoying your journey can be just the start of a memorable holiday. In my case we drove to Lonavala in my mother’s car, with her at the wheel, zipping through, breaking speed limits, blasting old 1940-50s Hindi songs on the speakers, and me at the back squashed in with three boys in the age range of 6-10 years who couldn’t sit still, there was never a dull moment. My cousin lounged comfortably in the front seat next to my mother having a loud animated conversation with her, completely oblivious to the other high decimal levels around! 2. A soul-mate – While I have spent some holidays in solitude, some in small groups and some in larger numbers, what really makes a difference is having that one person with you who you can truly associate yourself with. That person could be your spouse, it could be your sister or it could be a close friend. In my case I was lucky to have my very dear cousin accompany me. Our childhood memories, our past holidays, our present joys, our future plans and anxieties were all brought up and discussed in great detail, taking joy in enjoying each other’s company late into the night. 3. A love for nature – One of the things that we often look up while planning a holiday is ”Things to do”. While some people look for shopping places, some for night-life, some want to find restaurants offering local cuisine, of late I have started looking for ways and means of getting close to nature. Listening to birds sing, taking a walk on the off-beaten path, feasting my eyes on miles and miles of lush, green valleys, are some of things that I want included in my holidays. Lonavala offers all of this and more specially during the peak monsoon season, when the mountains and valleys get a new lease of life and start breathing again after being choked up by urban developments and the summer heat. As a child I used to get excited as soon as we reached the first tunnel on the Western Ghats, signalling the green, open surroundings that would follow soon after. 4. The destination – Last but not the least is the destination. Though most of us always aim to go to new places, see the world, enjoy new delights; sometimes re-visiting a much-visited destination or staying in a much-loved holiday resort can bring happiness in uncontrolled measures. In my case it is my bungalow in Lonavala that does not fail to delight me every time I go there, be it rain or sun-shine. It is a place where I have safeguarded and stored some of my earliest memories and I like to leave them behind every time I leave that place. The best way I like to enjoy those memories is to make a visit with my mother and my cousins who all have some kind of association with that bungalow. Memories that come to life during our conversations blessing us with peace and tranquillity that no other destination can match.